The Clarke 2100 propane space heater offers powerful heating to industrial and commercial premises. The heater has an output of 49.85 Kw and has safety features such as fuel cut off in overheating situations and flame failure. 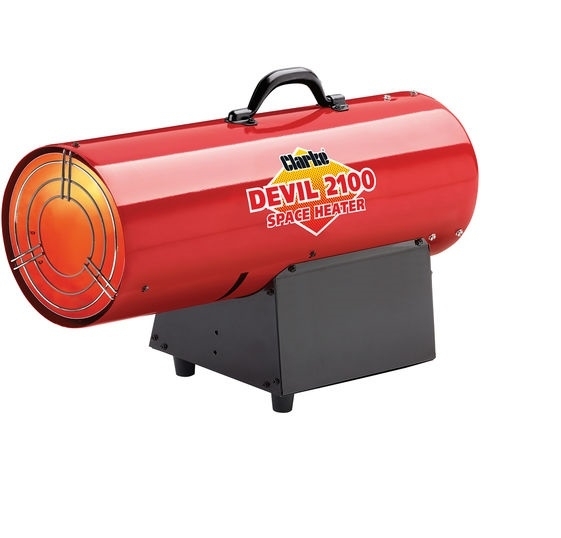 The 2100 propane heater also comes with a hose and regulator ready for immediate use. This model requires a 240 volt mains input.